WordPress gallery plugins are a great way for blog publishers to boost the visual effect of their blog, and in today’s day is an absolute essential for photographers and artists looking to showcase their best work on their WordPress websites. These plugins help exemplify the artists work in the best light, and integrate seamlessly with your existing blog design. Listed below are the most popular WordPress gallery plugins that will be an excellent addition to any WordPress blog or website. After nearly 8,000,000 million downloads, the NextGen Gallery speaks for itself. It’s one of the most robust plug-ins to use and is appointed with a plethora of display options that are suited for the novice and professionals. This template by NextGen allows you to customize, resize and seamlessly add a thumbnail gallery to your WordPress blog/website. Some of its features include responsive layout, control slideshows, change thumbnail size, backgrounds, borders and spacing. FlippingBook is a convenient way to create a photo gallery on your blog. It seamless leafs out the pages and coverts it into an enviable album that is interactive and is easy to use with no extra navigation or interface. By installing WP Easy Gallery, users can set custom dimensions, sort order of images, include multiple galleries, and even short codes for easy integration. With an easy to use interface, this plugin is a preferred by many definitely publishers with several bug fixes to improve its usability. With RoyalSlider, you get a powerful content slider and powerful image gallery that creates staggering image galleries with photos from Flickr or your image gallery. Its core features include touch compatibility with Windows 8, Android and iOS. This gallery plugin allows you to create appealing content sliders without any coding. Embed your own custom HTML, add video and text or simply grab funnel content from Instagram, RSS feeds or YouTube. OmniGallery allows you to easily add photos from Picasa, Facebook, Pintinterest and Instagram with as simple to use interface. All you have to do is select the post page where you would like your gallery displayed and then simply select OmniGallery. The laziest gallery plugin simplifies the process of adding captions, comments and descriptions to all the photos of the album. When moving the photos from one location of the blog to another, the plugin safeguard and preserves the information associated with the individual photos. Fancybox is a versatile interface that lets offers you a plethora of customizing options. This plugin uses J-query by default that can be applied to posts, sidebar etc. This fast, simple and seamless plugin provides a clean way of customizing Flickr galleries. It supports both private and public photos and is SEO friendly so your photos are ready for the web when you are. This square grid interface displays your content in a unique way, and can be used for blog posts, designs, services, or anything you desire. The live folder includes 3 edits of the original file so you can see if this plugin works for you. ZoomFolio is the ultimate gallery plugin for WordPress and the possibilities are literally endless from boasting your vacation photos to recent posts on your blog. Showcase refines your current WordPress bland gallery and makes the whole process of ordering, uploading and editing your images literally seamless. After which your gallery is presented in a captivating lightbox slideshow. RoyalSlider features touch swipe navigation and allows for CSS3 banner rotators, custom slideshows, and horizontal thumbnails all from one simple interface. There is also support for Vimeo and YouTube video galleries. Gallerix is an easy to use plugin that is basically a simple replacement to your traditional WordPress gallery. It offers an intuitive interface that is literally seamless to use. The new Media Grid is completely revamped to feature a structure that is compatible with IE8 users. This simple fast category sorting system is arguably the best feature of this plugin, and allows you to set numeric values on the fly. GRAND FlAGallery packs a lot of punch for a subtle plugin with a combination of a banner rotator and music album, and a photo and video gallery plugin. Global Gallery is combination of four lightboxes, three gallery layouts that are compatible with a Macbook or an Android Device. TouchCarousel is a content slide that is highlighted by its touch navigation features for mobile devices. You can customize tags, categories, post types or anything you see fit. If you’re looking to add a thumbnail gallery to your blog, this is it. This plugin allows you to resize and customize photos that are compatible with all browsers. This feature rich slider solution allows you to create SlideDecks with video, HTML, text and images. There’s no coding required to create stunning content sliders and you can even display content from RSS feeds, Instagram, etc. After a tremendous amount of tweaking, Fancy Gallery is now available with an excellent Ajax admin panel, and a gallery that can accommodate unlimited albums. You can even add different types of media such as images, websites and videos. This plugin creates a dynamic gallery of content and images and can be added to your theme as a template tag or as a widget. The plugin dynamically creates a gallery of your content either by specifying image URL’s or/and connecting to the first image attachment. With Complete Gallery Manager, creating and managing galleries is fun as it allows you to cater to large galleries with a lot of plugins and an intuitive interface. This plugin allows you to extend the default gallery options, switch to JS display, gives you a tooltip view of images, and divides your gallery into several pages. PhotoMosaic is compatible with the all new WPv3.5 gallery system, and allows you to create customizable columns, width, & padding. With its masonry layout and widget support, this plugin transforms your traditional WordPress gallery into an appealing design piece. PhotoShow makes it easy to add elegant style to your WordPress gallery with a simple shortcode. The plugins options page is easy to configure and you get widget support, template tag support, and HTML image captions. If you’re looking for a plugin that’s compatible with CCGallery HTML5 Multimedia Gallery, CCGallery WP is an excellent choice. It displays all your video and audio files and video files and images in an appealing interface. You can filter items by categories and can between two display modes. CataBlog is a rather effective tool that allows you to create catalogs, galleries, stories and anything you want to share through you blog. You can use your galleries to sort items into multiple catalogs and is easy to keep track of them. With WP Photo Album plus, you can create as many photo albums as you like as well as sub albums simultaneously. Also, you with photo album plus, you are able to resize the photo accordingly to your preference. This is not your average WordPress plugin. With its innovative technology, it analyzes the content on your site and displays relevant post from it. The plugin is seamless to use, and once it’s up and running, it begins to analyze your content almost immediately. PhotoSmash puts you in complete control of your WordPress blog/site by creating custom form layouts and photo galleries. Some of the features include contributable photo galleries, link gallery thumbnails, Ajax photo uploads and star ratings for images, to name a few. This plugin creates a shortcode for your WordPress blog/website, which allows you to create an excellent slider gallery in minutes. This is done intuitively by typing the ¡°slider¡± while you’re composing your post or page. This J-Query based plugin replaces your traditional WordPress plugin with eye catching features and options. With the new upgrades, you are able to pull images directly from Facebook, and are in control of every aspect such as appearance, color overlays, captions and ligtboxes. Video Gallery is claimed to be one of the most stock video galleries around. You get a custom admin panel that fits seamlessly into your current WordPress design, and advanced HTML functionality so it is cross browser and iPad/iPad compatible. This plugin allows you to control the player look and feel through a user friendly interface. Available in two versions, the player can be resized through the WP admin and easily integrated using the shortcode. LayerSlider allows you to create any number of layers and sub layers and you can use unlimited links and images. With a user friendly script, you can change delay times, add global settings and much more. This plugin is compatible with all types of media including audios, videos and in-line content. Powered by jQuery, it provides lightbox support and neat effects for your presentations. With multiple upload support, Premium Gallery Manager has a smart crop option and is also lightbox enabled, and you can choose from 5 effects and create unlimited galleries. Lightbox Gallery Manager allows you to embed as many lightbox galleries on your site. You can organize your images in single sets or in categories with a simple shortcode. This WordPress plugin converts your photoblog within a short span of time. You can create multiple thumbnail images and control them right from the theme. You also get a ready to go configurable sidebar widget and latest images that transforms your WordPress site/blog into an intuitive photoblog system. This plugin allows you to customize the size color and styles of your slideshows, and the fading effect is created with the help of Jquery inner fade. This plugin allows you to easily add a grid style gallery to your WordPress blog/site. The gallery is completely customizable and can be inserted in any page or post. GRAND Flash Album Gallery is a powerful Jquery media plugin for WordPress, and allows you to edit your media in a number of ways. You can create photo galleries, music descriptions and is compatible with Google Reader and Feedburner. AWSOM Pixgallery is a great plugin for artists that want to showcase their work in a sheer elegant interface. With the New Image/Gallery RSS system, you can alert visitors when new pictures are available, and can be easily installed with no theme editing. 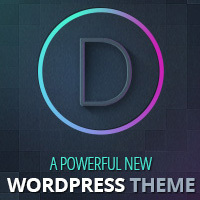 TS Display is a WordPress plugin that is appointed with a number of appealing features, which include a flexible layout, unlimited frame color, cross browser compatibility, flexible column and well documented. Jigowatt Gallery allows you to insert themes into posts and pages and create customizable galleries. Backed up by WordPress 3.0’s Custom Post Taxonomies and type, it is easy to extend and seamless to use. Some of the other features include creating unlimited galleries, assigning images to galleries, uploading images from the WordPress admin panel and displaying galleries on the front end using the shortcode ([jigowatt_gallery). jGallery for WordPress features a seamless way to create a gallery on any page sidebar or post. You can choose between a wide range of shortcodes, widgets, or simply embed your gallery directory into the template files. Flickr Photo Album allows you to pull your Flickr stash and display them elegantly on your WordPress blog/site. This plugin is extremely versatile and can be customized in a number of ways such as linking it to lighbox style galleries, third party commenting services, and a widget for your sidebar. Foobox works hand in hand with NextGen to create responsive image lighboxes that are compatible with social sharing. It is designed to make your images raise eyebrows with their elegance and is compatible with all devices. With intuitive slideshow functionality, images can be resized to any resolution, and seamless forward and backward navigation is available. Your images go viral and can be easily shared by your visitors across the social media plateau. Backed up by a feature called custom, which is technique that is becoming increasingly popular with WordPress plugins. This plugin has the ability to make photographs larger with simple lightbox technology, and proofing can be enabled with a simple add-on. G4B Photo Gallery is an open source flexible plugin for WordPress and provides a simple way to include a complete photo gallery anywhere in your blog. Some of the features include effectively creating and managing and creating albums, thumbnail and cropping support, uploading editing and deleting photos, PHP 4 and PHP 5 support and smooth compatibility with CSS. Fotobook is simple to use and will link seamlessly to your Facebook accounts with the Facebook API. The list of features of Fotobook is extensive, but some of the appealing ones are displaying photo albums on your WordPress page, importing pictures from multiple Facebook accounts, validating XHTML 1.0 Strict through the frontend, easy to use Ajax album management panel, inserting photos into specific posts/pages, creates a specific album for tagged users and a sidebar widget to display recent or random albums and photos. Cincopa is all in one plugin that does everything from resizing, delivering, encoding, skinning and tracking through a slick interface. This plugin includes a number of video players, galleries, slideshows, music players, podcasts in many different shapes and sizes. Cleaner Gallery gives you complete control over your WordPress galleries with a valid XHTML solution that requires WordPress 2.6+. Some of the features include displaying specific images, adds support for multiple lightbox scripts and control of your images through CSS. Formerly Benjamin Sterling Galleries, PhotoXhibit streams photos from Picasa, SmugMug and Flickr accounts to your WordPress blog/site and also allows you to build and upload albums to help you create appealing galleries anywhere you like. Although the list of features is extensive, the ones that make this plugin appealing are an independent gallery creator, easy to use interface and the ability to customize each gallery. Great compilation… This is a great site for bloggers looking for great plugins to use. This one I found lately http://wordpress.org/extend/plugins/iframe-embed-for-momentme/… Gives your photo gallery a 360° perspective while it automatically collects publicly available photos and images of social event.